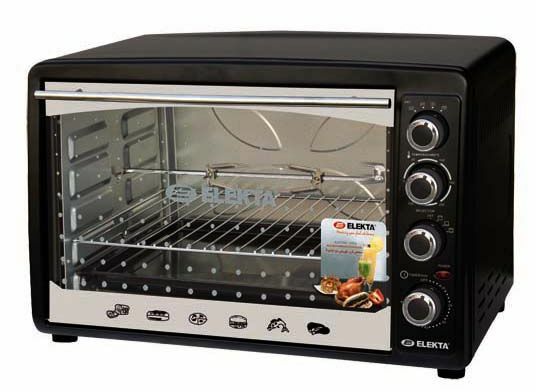 The Elekta Electric Oven with Rotisserie and Convection - Black, EBRO-787CG is perfect for a modern or contemporary style kitchen. It has an output of 2200 Watts power and cooks food evenly and efficiently. The rotation cooks the meat evenly on its own juices and allows easy access for continuous self-basting.